I like aquariums. 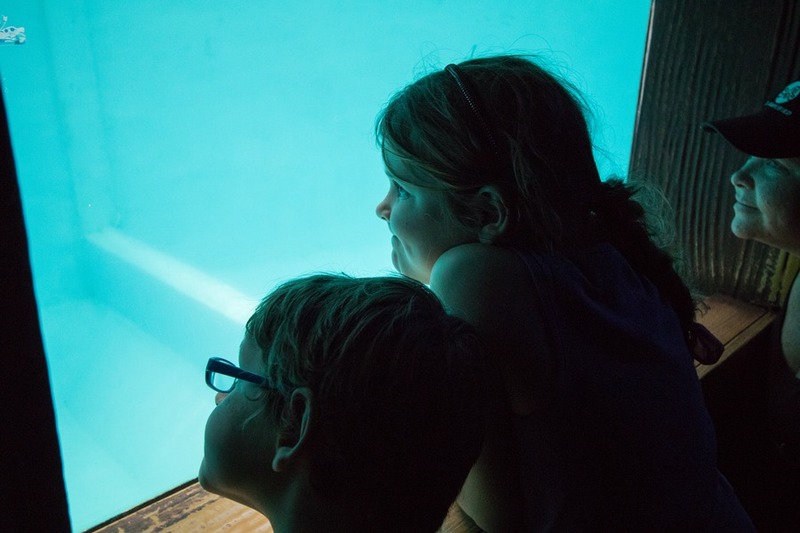 But I’ve never been as emotionally stirred as when I visited the Clearwater Marine Aquarium near Tampa, Florida. Often my feelings can range from awe at miraculous marine discoveries, to horror at some of the facilities we’ve seen around the world. And I have to admit, after seeing the number of aquariums we had, I wasn’t all that excited to visit another one. And then I met Winter. 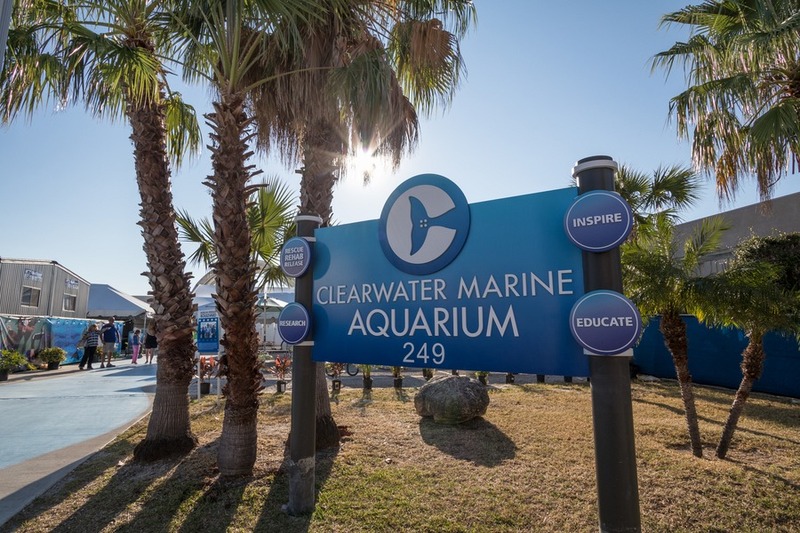 Buy your tickets to Clearwater Marine Aquarium online through Viator, or pick up the Tampa CityPASS (recommended) and save 54% on the city’s top attractions. 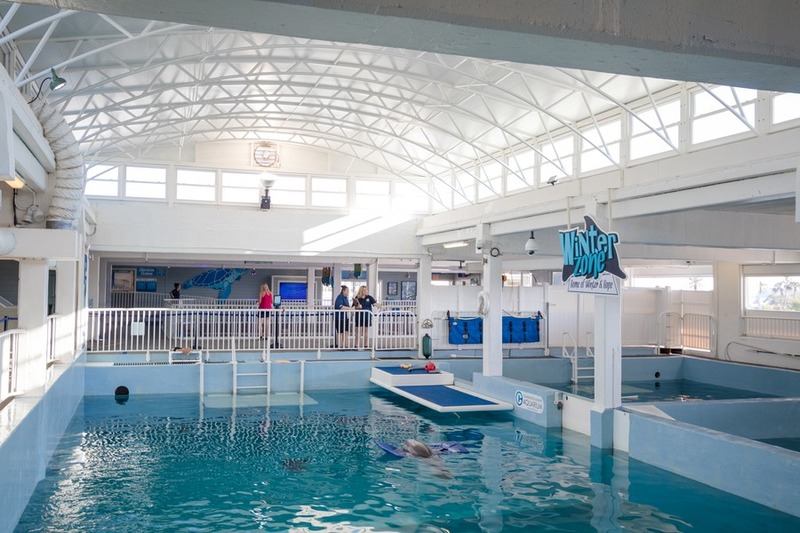 Winter is a bottlenose dolphin that lives at the Clearwater Marine Aquarium, and the inspiration behind the popular movie Dolphin Tale. What’s so fascinating about her? Winter was found in the coastal waters of Florida caught in a crab trap. And while her saviours managed to free her before she drowned, they were not able to save her tail. 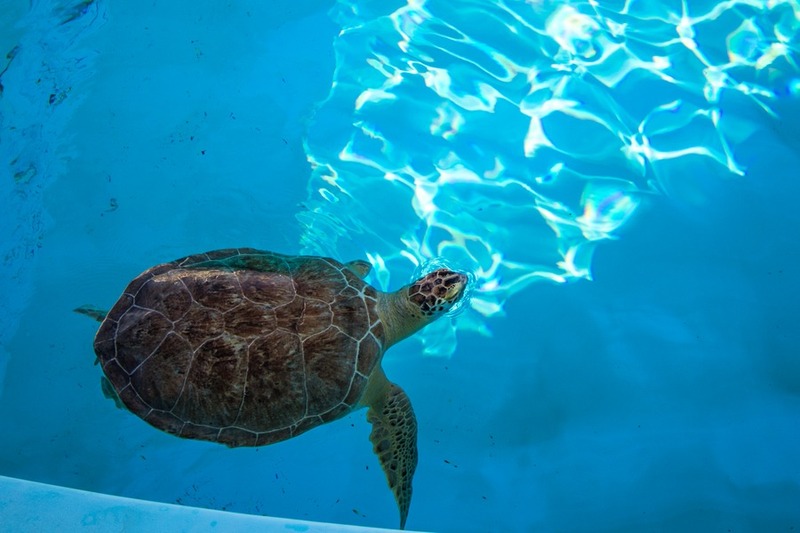 The loss of Winter’s tail caused her to swim unnaturally, with her body moving side to side rather than up and down. 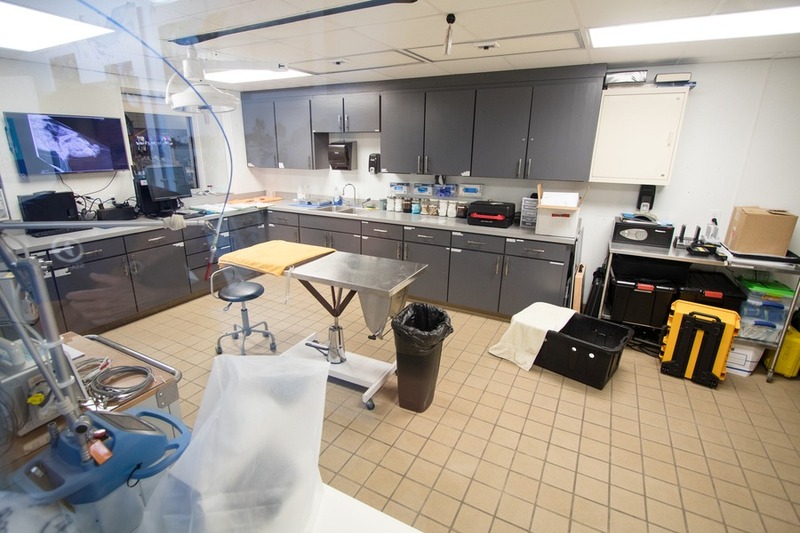 Marine care and prosthetics experts worked together to create and fit a prosthetic tail, but Winter never fully took to it. Against all odds, she managed to live a somewhat normal existence without a tail and wears the prosthetic occasionally for physical therapy. 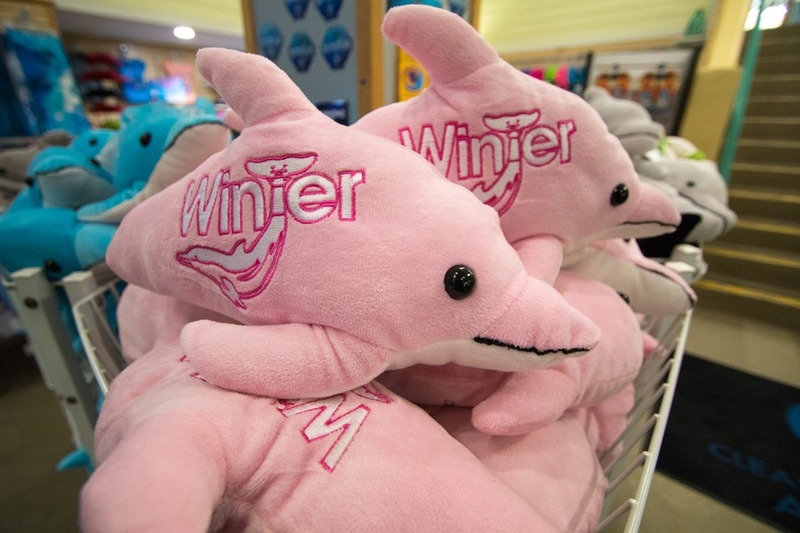 The important lessons learned from outfitting Winter’s tail have been applied to human amputees and improved the quality of life for thousands. While she can swim without her prosthetic tail she does need it to keep her muscles and spine healthy. She is such an inspiration, and seeing her up close was a deeply emotional experience. When we arrived she was having a little down time, floating on a blue mat in her pool. In the adjacent pool, the very active Hope demanded attention. 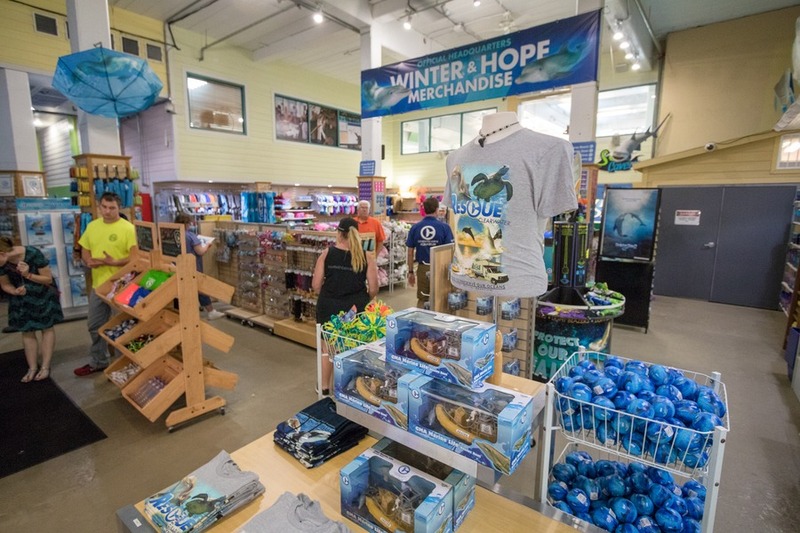 Hope is the star of Dolphin Tale 2 and was found 5 years after Winter in a very similar location. Hope was only 2-3 months old at the time of her rescue attempting to nurse from her dead mother. 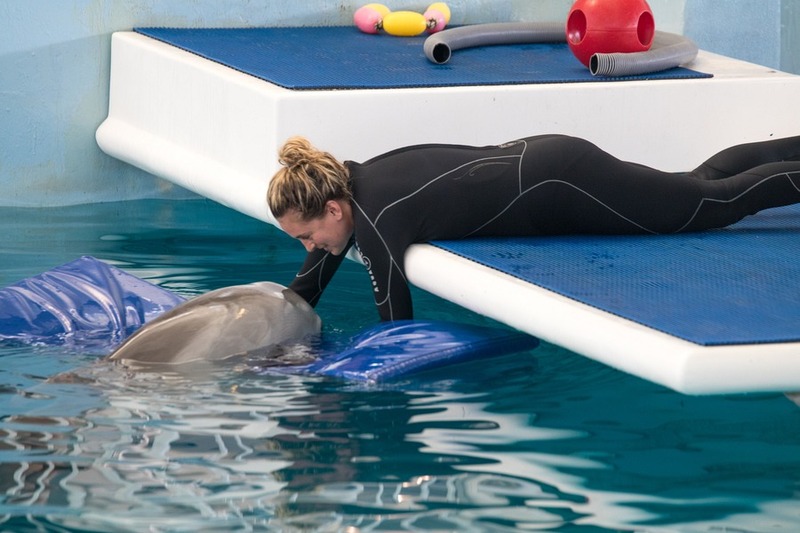 As such, she never learned the necessary skills to survive in the wild and has remained at Clearwater Marine Aquarium. Now she keeps Winter company and is a delight to watch. 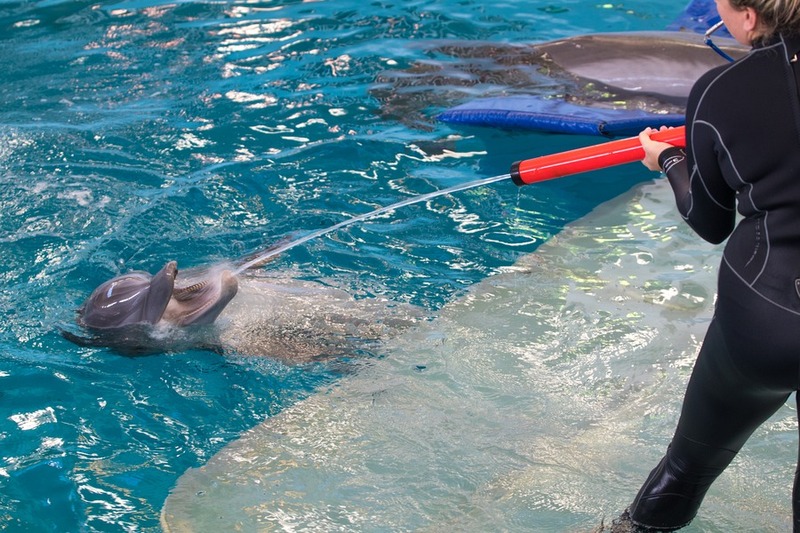 Playful, fun and easily excited by enrichment tools such as water spray guns. We were lucky enough to have a photo opportunity with Hope, which made my kids’ smiles run from ear to ear. So already you can start to see this is not your typical aquarium. 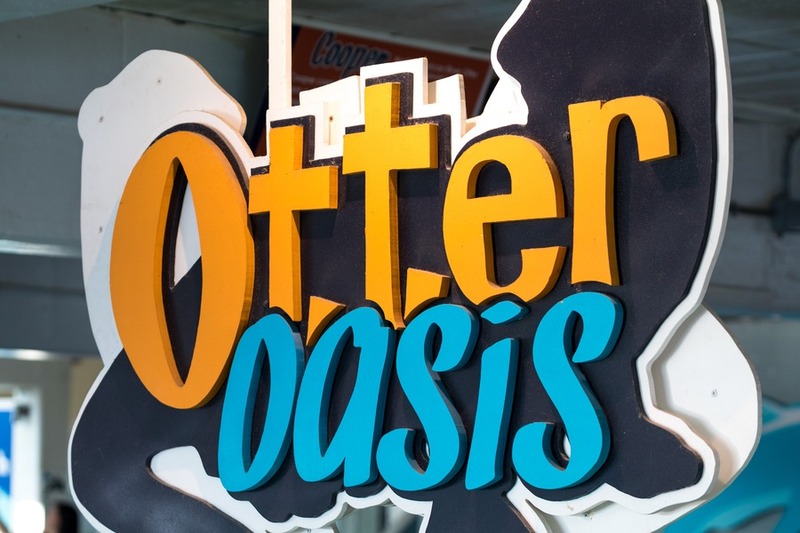 Adults and children with disabilities from around the world come to interact with Winter and Hope and gain inspiration to deal with life’s toughest obstacles. And even I found a sense of encouragement in these dolphins’ stories. Their beautiful manner and willingness to continue fighting through life against all odds, is a story I will not forget. They inspire tenacity, compassion and faith in humanity, bringing sweetness to the lives of every visitor. On top of these two beautiful dolphins the aquarium holds firm to its mission - rescue, rehab and release. 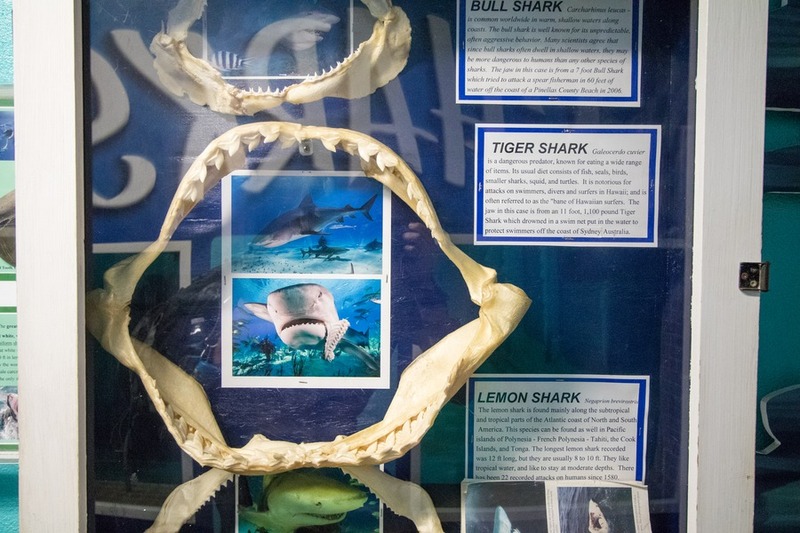 You’ll find plenty of sea turtles, pelicans, otters, sharks, stingrays and more. 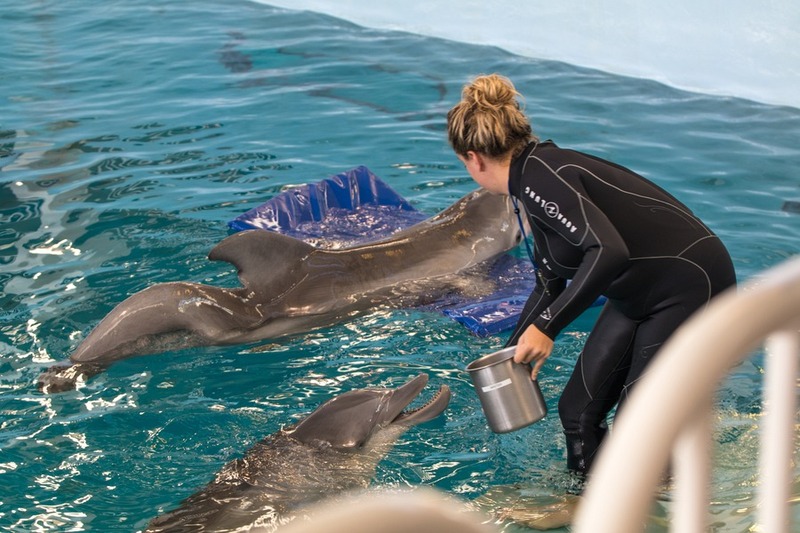 Clearwater Marine Aquarium exists to rescue marine animals, rehabilitate them from sickness or injury, and release them back into their natural habitats. 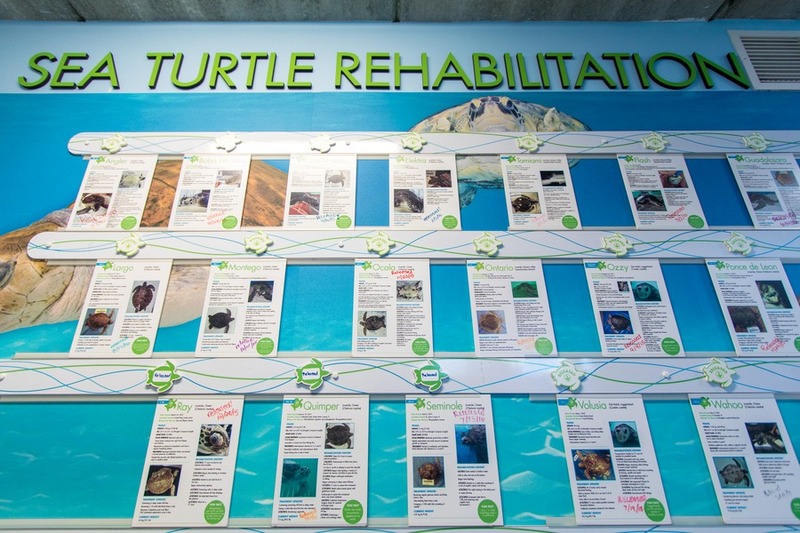 Injured animals are treated on-site in the world-class marine hospital. Yes, it’s an aquarium. But so much more. 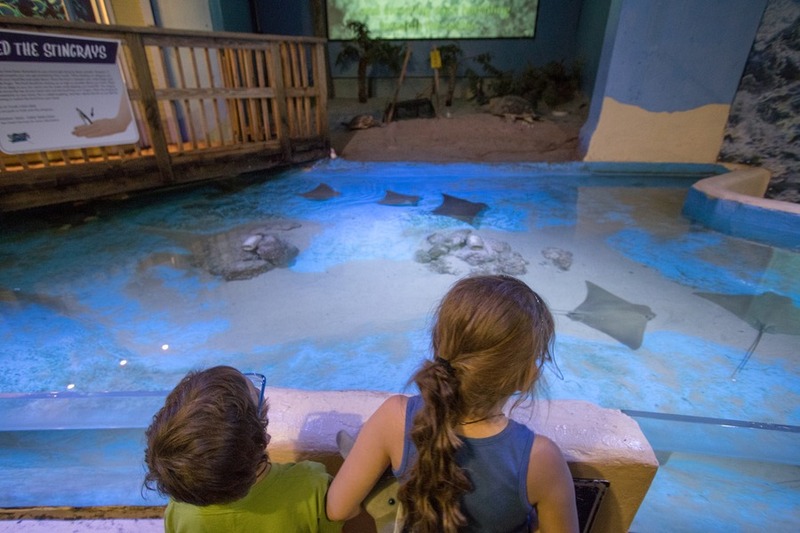 Allow at least 2-3 hours to truly discover this unique aquarium. 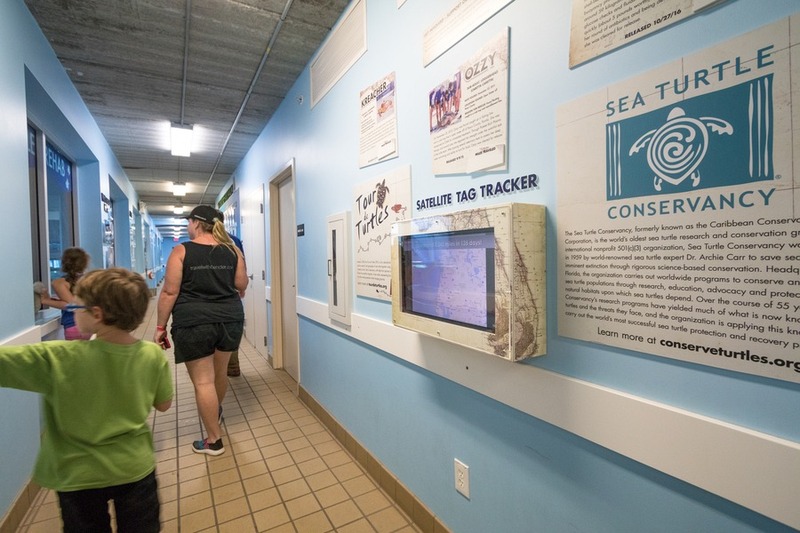 And take the time to visit the nearby Winter’s Dolphin Tale Adventure - an indoor museum housing props, sets and costumes from the Dolphin Tale movie. 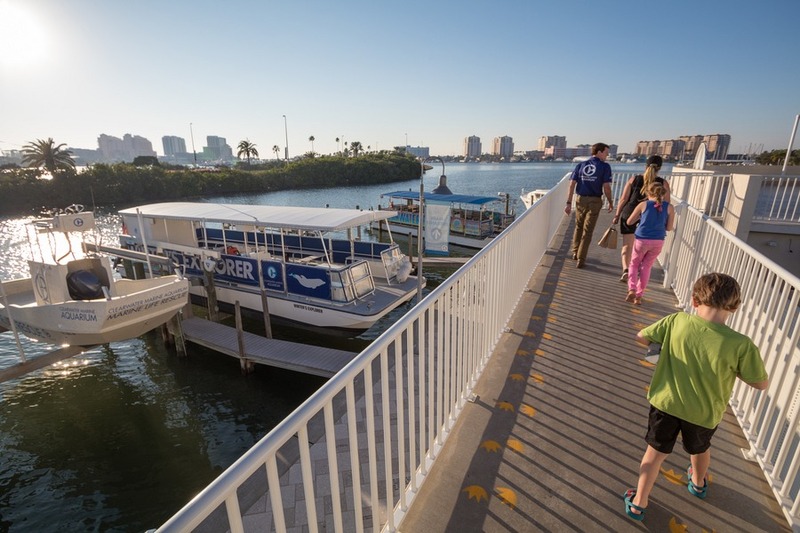 You can grab a free boat shuttle or trolley shuttle between the aquarium and museum. Bring spare change to shop in the gift store. Believe me after witnessing such a heart-wrenching story you are going to want to take a piece of Winter home with you. Stick around for one of the presentations on Winter. Our favourite was the Tail Talk in the afternoon. 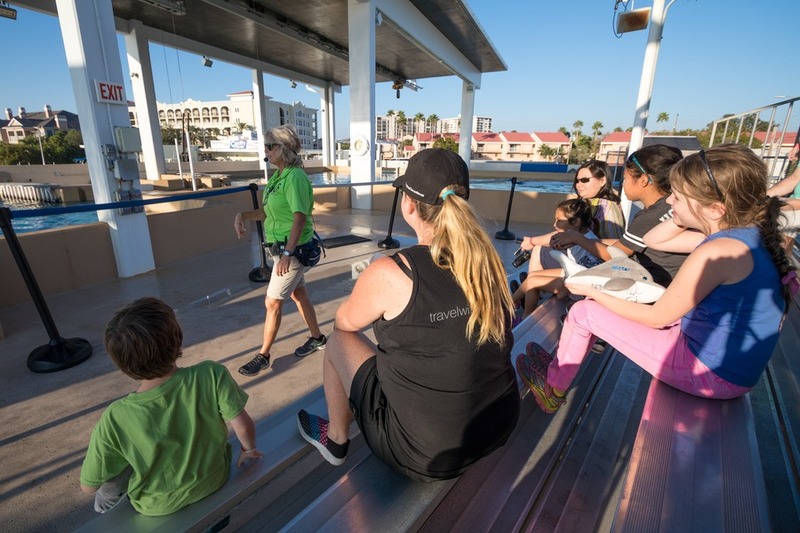 If you really want to get up close and personal with the animals consider becoming a Trainer for the Day where you’ll assist with dolphin and otter care. Lastly, if one visit is not enough you can always obtain your daily dose of courage from Winter with her live webcam. Just looking at it now brings back so many wonderful memories and gives me strength regardless of what life throws my way. While in St Petersburg/Clearwater we stayed at Guy Harvey Outpost, and while in Tampa we stayed in Marriott Waterside Hotel & Marina. Get your copy of Dolphin Tale and Dolphin Tale 2 on Amazon. Love to be here...To see Dolphin.